Find the perfect gift for your Valentine at Allen’s Jewelers! 1. Le Vian Chocolate Diamonds– Do you have a chocolate lover in your life? You can WOW your loved one with chocolate diamonds. See the allure and charm of fine jewelry from the Le Vian Collection in our Allen’s Jewelers showroom. 2. Dazzling Diamonds – Diamonds come in many shapes and sizes. Find your perfect diamond at Allen’s Jewelers in the IDD Jewellery collection. IDD is renowned for its appealing jewelry and indispensable basics: diamond earrings, solitaires, three-stone rings and bridal sets. 3. Ruby Jewelry– Rubies represent love, passion, courage and emotion. They have been the prized possession of emperors and kings throughout the ages. 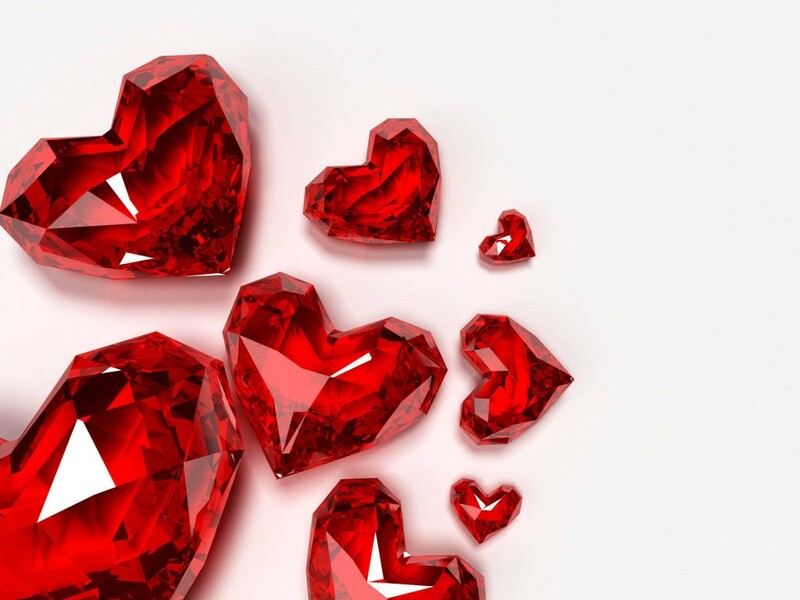 To this day the Ruby is the most valued gemstone. Visit our showroom to find a unique gift that shows “I Love You” more than just words. 4. Watches– Whether you are looking to purchase a new wrist watch for every day wear, a collectable, or a high-end time piece, Allen’s Jewelers has a wide variety, from wrist watches to pocket watches. Consider engraving the back to say “I’m yours forever” or “You’re always on my mind” as a distinguished and thoughtful gift! 5. 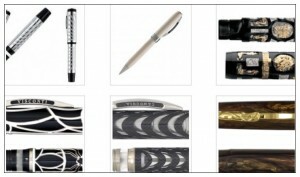 Fine pens and writing instruments– Visconti fountain pens, rollers and ballpoint pens offer a wide range of beautiful, high quality, innovative writing instruments that are easily recognizable. Give the professional in your life a gift that shows everyone just how much they are loved and appreciated. 6. Pearls– Allen’s Jewelers carries a wide selection of pearls, from freshwater cultured pearls to more exotic such as Japanese Akoya, South Sea, and Black Tahitian. Come visit our showroom, and allow a member of our Allen’s Jewelers Team to help you find the Pearl jewelry that will make your Valentine feel loved and elegant. 7. Gold– Throughout history gold has represented great value. We treat others with “The Golden Rule”, give valued customers “gold cards” and the “gold standard” is used when referring to the best, most reliable, or most prestigious thing of its type. Allen’s Jewelers offers high quality Gold jewelry, including necklaces, rings, earrings and bracelets available in 10 karat, 14 karat and 18 karat Gold. Let your loved one know they are the best, your “gold standard” with a magnificent piece of gold jewelry. 8. 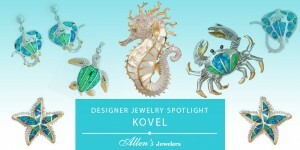 Metal Jewelry- http://allensjewelers.com/product-categories/other/ Allen’s Jewelers also carries alternative jewelry. For a Valentine that likes unique and less traditional pieces, view our Titanium, Tungsten Carbide, and Stainless Steel jewelry. 9. 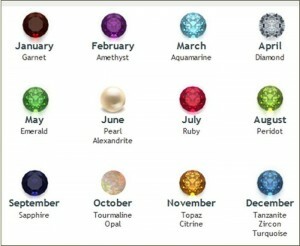 Birthstone Jewelry– Colored gemstones provide a great variety of color and style combinations. One reason gemstone jewelry is a favorite of both men and women is that this jewelry combines personal decoration with fashion, creating a variety of individual and interesting pieces. Give a one of a kind, personalized gift to your Valentine this year. 10. Custom Jewelry Design- Do you have a vision of a piece of jewelry but can’t find it anywhere? Do you have a piece of old, family jewelry that you’d like redesigned? Allen’s Jewelers will take your existing jewelry and remake it into your vision with the style and quality you expect. It will be a treasure you and your family will enjoy for years to come. Learn more about custom jewelry design at Allen’s Jewelers.